It’s your very special day; be it a Wedding, Masonic Ladies Night, Awards Ceremony or Corporate Event. As a trained, experienced and professional Toastmaster and Master of Ceremonies, I will make that special event even more memorable and stress free. 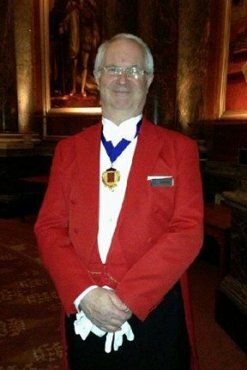 Please contact me to discuss, without any obligation, your thoughts and the part a Toastmaster can play in your special event! I am professional but I am not stuffy and pompous! I will manage your day in a friendly, relaxed way, working with the photographer, arranging the group photos, anouncing the recieving line and entry of parents before your entry as the newly married couple, if you desire. Other options are timing of speeches (introduced properly! 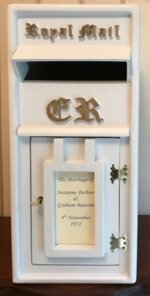 ), timing of cake cutting (often done in the evening before a bouquet throw to the unmarried ladies) and introduction of the first dance and handing over to the DJ, to name but a few. Your wedding is the Biggest day of your life! So we'll meet to discuss your many options so that, on the day, you can relax and enjoy your occasion completely stress free!